The 2014-15 season brought a number of important Stucky premieres and performances. Led by Artistic Director Steven Sametz, the Princeton Singers kicked off the season with the world premiere of Winter Stars, a setting of Sara Teasdale’s poem of the same name, in a special concert celebrating the chamber choir’s 30th anniversary. The Pittsburgh Symphony, under conductor Manfred Honeck, performed Silent Spring at Carolina Performing Arts in Chapel Hill, NC. The work, a one-movement orchestral tone poem in four sections, was commissioned during Stucky’s tenure as the orchestra’s 2011 Composer of the Year. His Piano Sonata received its world premiere by Gloria Cheng in the “Piano Spheres” series at Los Angeles’s Zipper Hall. And New York-based orchestral collective The Knights joined vocal soloists at Carnegie’s Zankel Hall for the New York premiere of The Classical Style, a new opera—Stucky’s first—composed to a libretto by MacArthur Fellow Jeremy Denk. 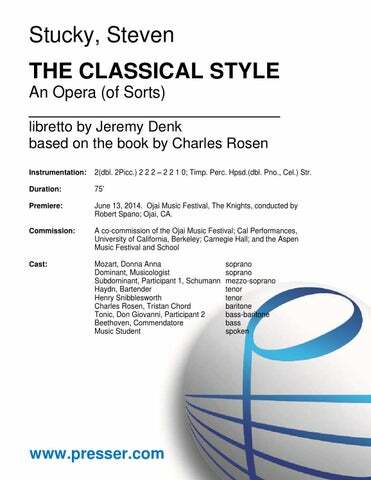 The opera triumphed at its 2014 Ojai Music Festival debut, when it inspired a wealth of glowing praise. The prior season saw the Choral Arts Society of Washington DC host the East Coast premiere of Take Him, Earth (2012), Stucky’s choral composition commemorating the 50th anniversary of John F. Kennedy’s assassination, while Philadelphia’s Curtis Institute of Music premiered the chamber version of Stucky’s song cycle The Stars and the Roses (2012-13) to critical acclaim. Cho-Liang “Jimmy” Lin and pianist Jon Kimura Parker performed the Violin Sonata (2013) at La Jolla SummerFest, the Kansas City Symphony undertook the Pulitzer Prize-winning Second Concerto for Orchestra (2003), and in Boston and at Carnegie Hall, Bernard Haitink led the Boston Symphony Orchestra in Funeral Music for Queen Mary (1992), an evocative re-orchestration of three 17th-century masterpieces by Henry Purcell. Notable world premieres in recent seasons included Symphony (2012) at the Los Angeles Philharmonic; The Stars and the Roses at the Berkeley Symphony; Say Thou Dost Love Me (2012) for a cappella chorus with the New York Virtuoso Singers; Take Him, Earth at the American Choral Directors Association national conference; Rhapsodies (2008) by the New York Philharmonic at London’s BBC Proms; August 4, 1964 (2007-08) by the Dallas Symphony; the Chamber Concerto (2010) by the Saint Paul Chamber Orchestra; and the Piano Quintet (2009-10) at Portland’s Chamber Music Northwest festival. Other past highlights include high-profile repeat performances of Silent Spring (2011), which the Pittsburgh Symphony toured to seven key European cities; Andantino quasi Allegretto (Schubert Dream) by pianists Emanuel Ax and Yoko Nozaki for the Chamber Music Society of Lincoln Center (2011); the Chamber Concerto (2010) by the Saint Paul Chamber Orchestra under conductor Roberto Abbado; the “Elegy” from August 4, 1964, which the Dallas Symphony reprised at home and in Germany; and Radical Light (2006-07), which London’s Philharmonia Orchestra revived in Bonn. 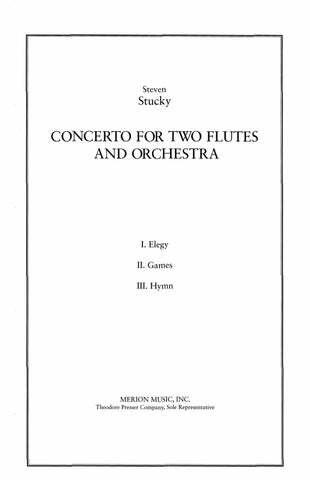 Stucky’s Pulitzer Prize-winning Second Concerto for Orchestra was commissioned and premiered by the Los Angeles Philharmonic in 2004. Chanticleer’s recordings of Mr. Stucky’s Cradle Songs and Whispers, both on Teldec, won Grammy awards in 2000 and 2002, respectively. Released in 2004 were a collection of his chamber music performed by the Cassatt String Quartet and Ensemble X (Albany Records), his Son et lumière by the Albany Symphony (also on Albany Records), and Dreamwaltzes by the Singapore Symphony (BIS Records). To date, six different performances of his Funeral Music for Queen Mary have been commercially released. The year 2007 saw the releases of Sonate en forme de préludes by Deutsche Gramophon as a Chamber Music Society of Lincoln Center download; a performance by Michala Petri and the Danish National Symphony of his recorder concerto Etudes on Da Capo/OUR Records; and a BIS compilation of major orchestral works including Spirit Voices (with Evelyn Glennie), the Second Concerto for Orchestra, and Pinturas de Tamayo. 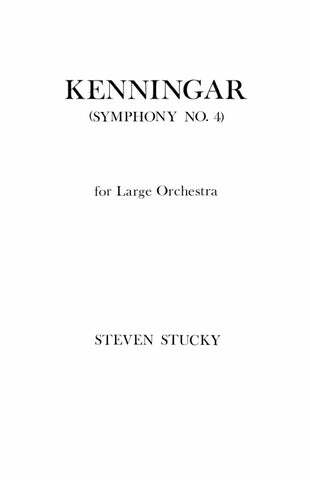 Mr. Stucky’s relationship with the Los Angeles Philharmonic was the longest such association between an American orchestra and a composer. He was appointed Composer-in-Residence by André Previn in 1988, and was Consulting Composer for New Music – in which capacity he works closely with Music Director Esa-Pekka Salonen to enhance contemporary programming, to award commissions, to develop educational programs for school children, and to mentor aspiring pre-college composers under the ground-breaking Composer Fellows Program – for the remainder of his career. Mr. Stucky hosted talks in the LAP’s Green Umbrella series with Marc-André Dalbavie and Leif Ove Andsnes, among others. He was also instrumental in the success of a similar series on the east coast, hosting the New York Philharmonic’s “Hear and Now,” informal public encounters with contemporary composers of works programmed by the Philharmonic. An active teacher and mentor to young composers, Stucky served on the Warsaw jury of the Witold Lutoslawski Competition for Composers. His highly-esteemed expertise on the late composer’s music was recognized with the Lutoslawski Society’s medal and an ASCAP Deems Taylor Award for his critical biography, Lutoslawski and His Music (1981). He was consultant to the Philharmonia Orchestra’s 2013 centennial celebrations of the composer in London. 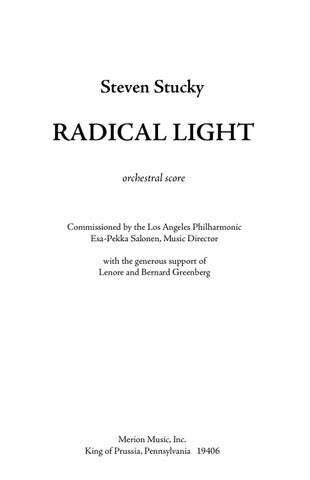 As conductor, Stucky frequently led the Los Angeles Philharmonic New Music Group and Ensemble X, a contemporary music group he founded in 1997. With the former, he led soloist Michala Petri in the US premiere of his recorder concerto, Etudes (2002), and conducted world and regional premieres of works by many of his contemporaries, such as Donald Crockett, Jacob Druckman, William Kraft, Witold Lutoslawski, Christopher Rouse, Joseph Phibbs, and Judith Weir. 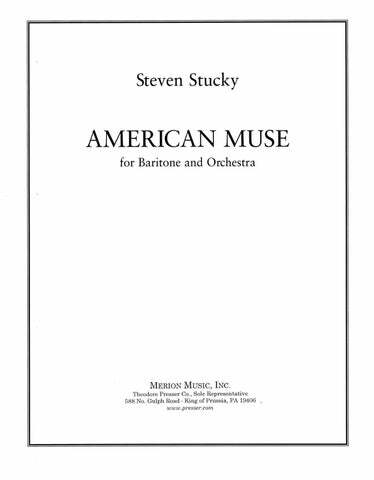 Stucky was permanently employed as Composer-in-Residence of the Aspen Music Festival and School, having previously held that post in 2001 and 2010, in addition to serving as director of the Aspen Contemporary Ensemble in 2005. He was appointed as the first Barr Institute Composer Laureate at the University of Missouri at Kansas City. Among his other honors are a Guggenheim Fellowship, a Bogliasco Fellowship, the Goddard Lieberson Fellowship of the American Academy of Arts and Letters, the ASCAP Victor Herbert Prize, and fellowships from the National Endowment for the Arts, the American Council of Learned Societies, and the National Endowment for the Humanities. His first Concerto for Orchestra was one of two finalists for the 1989 Pulitzer Prize in Music. Stucky taught at Cornell University from 1980 to 2014, chairing the Music Department from 1992 to 1997, and then served as Cornell’s Given Foundation Professor of Composition, Emeritus. He was Visiting Professor of Composition at the Eastman School of Music and Temple University, and Ernest Bloch Professor at the University of California, Berkeley. Stucky was a member of the faculty of the Juilliard School from 2014 to 2016. Born on November 7, 1949 in Hutchinson, Kansas, Stucky was raised in Kansas and Texas. He studied at Baylor and Cornell Universities with Richard Willis, Robert Palmer, Karel Husa, and Burrill Phillips. Mr. Stucky passed away on February 14, 2016 in Ithaca, New York. for Chamber Ensemble 2:00 Fl. Cl. Bsn. Pno. Vln. Vla. Vcl. 15:00 Fl.(A.Fl.) Cl.(B.Cl.) Perc. Pno. Vln. Vla. Vcl. 6:00 Fl. Cl. Hn. Tbn. Perc. Pno. Vln. Vcl. for Baritone and Six Instruments 16:00 Fl. Cl. Hn. Vla. Vcl. Cb. Bar. for Voice and Chamber Ensemble 12:00 Mezzo Sop. Fl.(Picc.) Cl. Perc. Pno. Vln. Vcl. 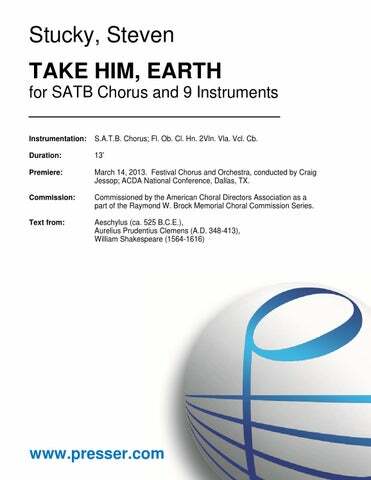 for SATB Chorus and 9 Instruments 13:00 S.A.T.B. Chorus; Fl. Ob. Cl. Hn. Vln.1 Vln.2 Vla. Vcl. Cb. 2:00 3(dbl. Picc.) 3 3(B.Cl) 3(Cbsn.) – 4 3 3 1; Timp. 3Perc. Pno. Hp. Str. 6:00 2 2 2 2 – 4 3 3 1; Timp. 3Perc. Str. 12:00 3(Picc./A.Fl.) 4(E.H.) 3(EbCl.) 4(Cbsn.) – 4 4(in C) 3(B.Tbn.) 1; Timp. 4Perc. Pno.(Cel.) Hp. Str. 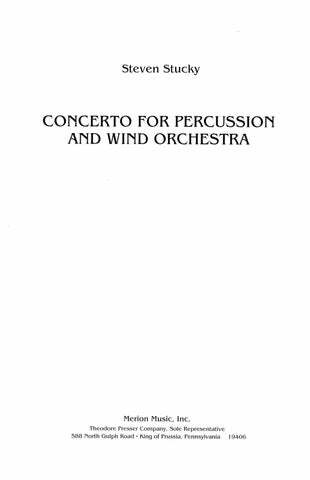 for Orchestra 2:00 2 2 2 2 – 4 2 3 0; 2Perc. Pno. Hp. Str. 20:00 2(Picc.) 2(E.H.) 2(B.Cl.) 2 – 2 2 0 0; Timp. Perc. Hp. Str. for String Orchestra 12:00 Str. 28:00 3(2Picc./Alto)3(E.H.) 3(B.Cl.) 3(Cbsn.) – 4 4 3 1; Timp. 3Perc. Pno.(Cel.) Hp. Str. for Orchestra 15:00 3(2Picc.) 3(E.H.) 3(B.Cl.) 3(Cbsn.) – 4 4 3 1; Timp. 3Perc. Pno.(Cel.) Hp. Str. from “August 4, 1964” 7:00 3(Picc.) 3(E.H.) 3(B.Cl.) 3(Cbsn.) – 4 3 3(B.Tbn.) 1; Timp. 2Perc. Hp. Str. 2:00 1(Picc.) 2 2 2 – 2 3 3 1; Timp. 2Perc. Str. 2:00 3(Picc.) 3(E.H.) 3(B.Cl.) 3(Cbsn.) – 4 4 3(B.Tbn.) 1;Timp. 2Perc. Pno. Hp. Str. 2:00 2 2 2(EbCl.) 2(Cbsn.) – 4 3 3 1; Perc. Hp. Str. 18:00 3 2(E.H.) 3(B.Cl.) 3 – 4 4 3 1; Timp. 3Perc. Pno. Hp. Str. for Orchestra 4:00 3(Picc.) 3 3 3(Cbsn.) – 4 3 3 1; 2Perc. Pno. 2Hp. Str. for Orchestra 21:00 3(Picc.) 3(E.H.) 3 3(Cbsn.) – 4 4 3 1; 5Perc. Pno. Cel. Hp. Str. 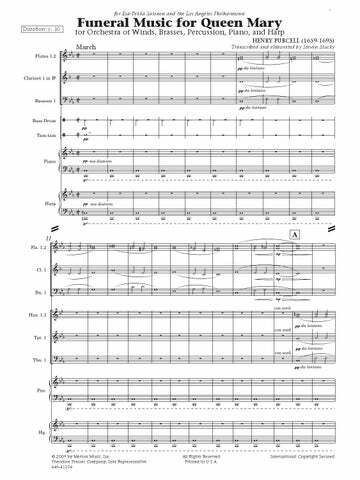 (Arrangement for Orchestra)(arr.) 5:00 3(Picc.) 3(E.H.) 2 3(Cbsn.) – 4 3 3 1; Timp. 2Perc. Cel. 2Hp. Str. 18:00 3(2Picc.) 3(E.H.) 3(EbCl. B.Cl.) 3(Cbsn.) – 4 3(Picc.) 3 3 1; 3Perc. Pno. Hp. Str. 17:00 3(3dbl. Picc.) 3(3dbl.E.H.) 3(3dbl.B.Cl.) 3(3=Cbsn.) – 4 3 3 1; 3Perc. Hp. Str. for Orchestra 10:00 3(dbl. Picc.) 3(E.H.) 3(dbl.B.Cl.) 2 – 4 3 3(B.Tbn.) 1; 3 Perc. Hp. Str. 27:00 3(dbl. Picc., AltoFl.) 3(dbl. E.H.) 3(dbl. B.Cl.) 3(dbl.Cbsn.) – 4 4 3(B.Tbn.) 1; Timp. 4Perc. Pno. Cel. Hp. Str. for Orchestra 18:00 4(Picc., Fl.3 also Picc.1, Fl. 2 also AltoFl. ); 3(E.H.) 4(E-flat Cl., B.Cl.) 3(Cbsn.) – 4 3 3 1; Timp. 4Perc. Pno.(dbl. Cel.) Hp. Str. for Orchestra 9:00 3(2Picc., A.Fl.) 3(E.H.) 4(E-flat Cl., B.Cl.) 3(Cbsn.) – 4 4 3 1; Timp. 4Perc. Pno.(dbl. Cel.) Hp. Str. 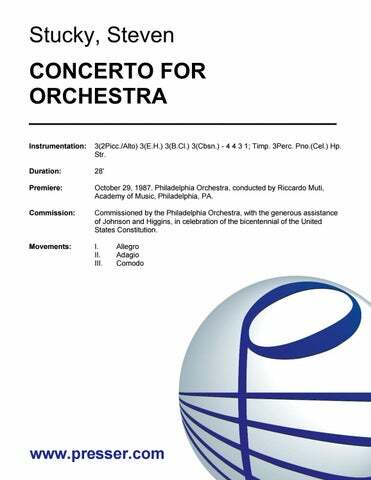 for Orchestra 20:00 4(Picc., 3 dbl. A.Fl) 3(E.H.) 3(B.Cl.) 4(Cbsn.) – 4 4 3 1; Timp. 3Perc. Pno/Cel. Hp. Str. Transparent Things: In Memoriam V. N.
for Orchestra 9:00 3(2Picc. Alto) 2 2 2 – 4 3 3 1; 3Perc. Pno. Cel. Str. for Baritone and Orchestra 21:00 Solo Bar. ; 2(dbl. Picc.) 2(dbl.E.H.) 2(both dbl.A Cl., 2 also B.Cl.) 2 – 2 2 1 1; Timp. 3Perc. Hp. Str. 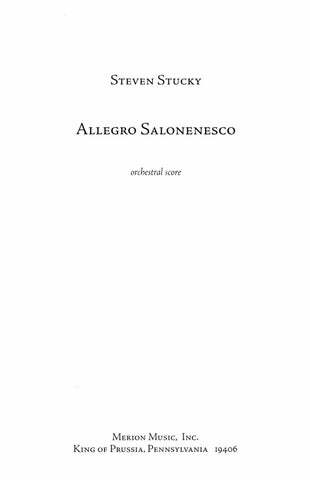 A Concert Drama 1:10:00 Soprano, Mezzo-soprano, Tenor, Baritone soli; SATB Chorus; 3(2 dbl. A.Fl., 3 dbl.Picc.) 3(E.H.) 3(B.Cl.) 3(Cbsn.) – 4 3(dbl.Picc.) 3(B.Tbn.) 1; Timp. 4Perc. Hp. Str. 17:00 2Fl. soli; 0 2(E.H.) 2(EbCl./B.Cl) 2 – 2 2 1 0; Timp. Perc. Pno.(Cel.) Hp. Str. Concerto for Percussion and Orchestra 21:00 Solo Perc. ; 3(dbl. 2Picc., dbl.AltoFl.) 3(dbl.E.H.) 3(dbl.B.Cl.) 3(Cbsn.) – 4 3(dbl.Picc.) 3 1; Hp. Str. for Tenor and Orchestra 13:00 Solo Ten. ; 2(2 dbl. Picc.) 2(2 dbl. E.H.) 2(2 dbl. B.Cl.) 2 – 2 2 1 0; Timp. 2Perc. Str. An Opera (of Sorts) 1:20:00 2(dbl. 2Picc) 2 2 2 – 2 2 1 0; Timp. 1Perc. Hpsh.(dbl. Pno., Cel.) Str. 19:00 Solo Percussion (6 Tomtoms, 2 Bongos, Congas, Timpani, Log, Woodblock, Tenor Steel Drum, Marimba, Glockenspiel, Xylophone, Bass Drum, 5 Gongs, 5 Almglocken, 5 Temple Bells, 2 Agogo Bells, 3 Cowbells, 2 Brake Drums, Anvil, Triangle, Spring Coil); 3(3+Picc. 17:00 3(Picc.) 3(E.H.) 5(EbCl./B.Cl) 3(Cbsn.) – 4 3 3 1 2Euph. ; 5Perc. Cb. 10:00 3(Picc.) 3(E.H.) 3 3(Cbsn.) – 4 2 3 1; Timp. Perc. Pno. Hp. for Wind Orchestra 5:00 3(dbl. Picc.) 3(E.H.) 4(B.Cl., Cb.Cl.) 3(Cbsn.) – 4 4(CTpt.) 3 1; Timp. Perc. Pno. for Solo Cello and Wind Orchestra 26:00 Solo Vcl. ; 3(2Picc.) 3(E.H.) 3(B.Cl.) 3(Cbsn.) – 4 4 3 1; 3Perc. Pno. Hp. 2-4Cb. I don’t know of another orchestra so handsomely endowed with the advisory services of a major musical figure so broad-minded in the quality of his musical outlook, so generous in the breadth of his involvement in the contemporary arts. [Stucky’s music is] tinted with half-lights and rich in its middle voices, elegant but rarely showy for showiness’s sake… His music is filled with subtle pleasures and lithe craftsmanship, and is all the more enjoyable in this day and age of in-your-face art for being rather soft-spoken. 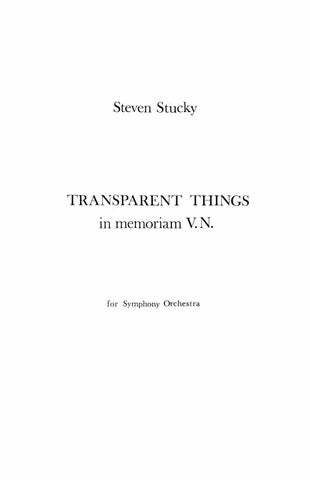 Steven Stucky’s music, just like that of the great composers who have succeeded in leaving their mark, manages to assert his own personality, to be original without falling into the trap of being hermetic, and succeeds in capturing our imagination with sheer poetry. His music is rigorously orchestrated, representational, and evocative without being obvious about it, and presented in easily digestible chunks. …one of those “contemporary” pieces that appeals to, and even entrances, those who think they rather not hear “contemporary” music. Stucky attempts to put into sound his response to Klee’s painting [‘Gradus ad parnassum’]…[He has] successfully illustrated musically the conflict of areas of tension and relaxation inherent in Klee’s painting. “Album Leaves” is a somber, autumnal work. Its creepy, dissonant score provided a number of virtuoso runs for the pianist. “Sereno, Luminoso” is a baleful nocturne: contemplative, gorgeously unsettled, a quite cri de coeur sung to nobody. 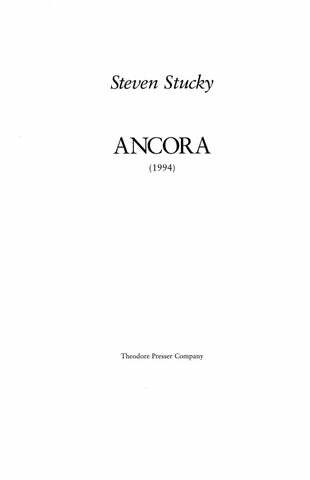 He takes four American poems… and transfigures [them] up one level into suave, gracefully persuasive lyric lines… Never merely a supporting accompaniment, Stucky’s orchestra becomes a participant, a panorama of color onto which the words may dance. It is Stucky’s gift to carry it off with fresh surprise and delight at every twist. Stucky writes in his program note that he had wanted to address the nature of ‘American-ness’ but quickly found out it can’t be done in 20 minutes. He is wrong. It can be done, and he has done it. American Muse gets under the skin almost immediately. 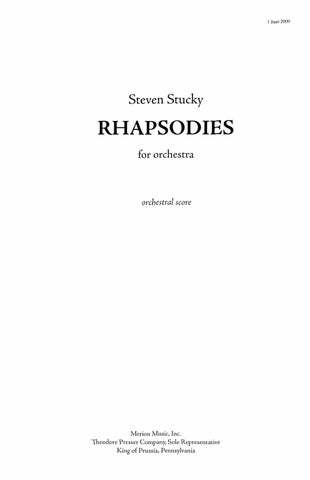 In Stucky’s piece, formidable vocal and instrumental resources are marshaled to evoke, in a virtuosically eclectic style, the passions and flaws of a monumental figure. Not since the golden age of Handel oratorios has something like “August 4, 1964” been so touching and well crafted… The mix between the Civil Rights and Vietnam War was just right – kudos for the balanced libretto from Gene Scheer, and for Stucky’s expressive score. … The work is about 70 minutes, and I could have easily heard it again (in fact I’ll go back on Saturday to hear it live again…and almost yelled Da Capo or Encore! during the standing ovation)… What a wonderful way to demonstrate the relevance of the events 44 years ago to today, and the revelance of classical music in our society! Truth be told, Stucky’s “August 4, 1964” is deserving to be the only piece on a program… The emotional and musical journey of “August 4, 1964” is satisfying, inspiring and enough to fill this program. The music and libretto combine to capture the tragedy of the era, LBJ’s spotty legacy, his human frailties. It is musically effective – moody and frenetic in turns. … Stucky creates music that well-fits the moments portrayed. I found it all tragically moving. … A sad time, a stirring time, and a musical drama that captures both, and the larger-then-life persona of LBJ, himself center stage, the central tragic figure of the action that day. …it deserves your serious attention. … there’s always the chance of hearing something that will survive the lifetime of its composer… “Boston Fancies” by Steven Stucky may be one of those special works… clear structure of the alternating sections… a marvelous migration of instrumental highlighting… what is so impressive about Stucky’s achievement is that the declaration of immediately obvious structure allows him to delight the listener with breathtaking transitional passages between sections. …Witty, somber, flirtatious and athletic in turn, “Boston Fancies” have a welcome sense of kinetic momentum, as well as an intellectually coherent structure. …filled with an ear for instrumental color and a knack for sustaining a listener’s interest that are the marks of an interesting composer. …a gorgeous glorification of melody… Stucky is a masterful colourist who exploits his sextet of players to paint with an orchestrally rich palette of sonorities … Along the way, miniature dramas play out briefly in the form of exquisitely choreographed duets. Though a professor of composition at Cornell University, Stucky is no mere academic scribbler. 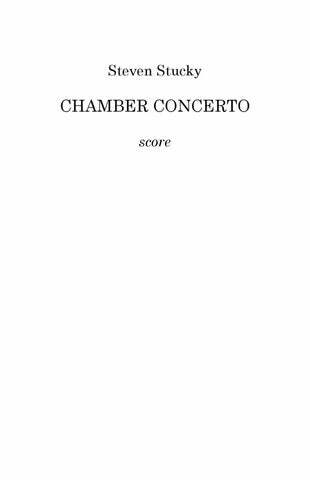 His “Chamber Concerto” is lyrical, colorful, atmospheric and, in its dark Largo section, gripping; it also manages to evade the self-congratulatory quality that bedevils scores written to exhibit the virtuosity of their players. Which is not to say that the orchestra, under Abbado’s tension-sustaining baton, was anything less than brilliant. 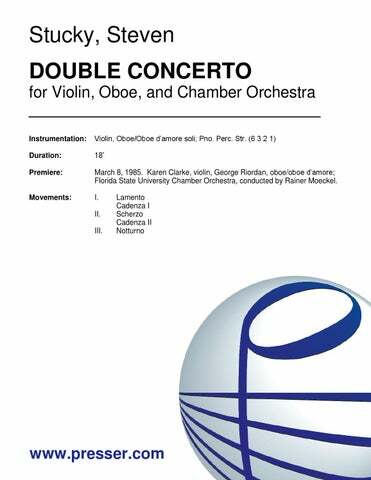 …the radiant orchestral sound and color most impressed in this formally adventurous concerto. …a superbly crafted work that also hits on a visceral level. …remarkable for elegant writing and a serious but altogether entertaining manner. There is something appealingly immediate about those two flutes out front, plaintively echoing each other in the first movement, ‘Elegy’ (for Lutoslawski); chasing each other around and flirting with the orchestra in the second movement, ‘Games,’ and splashing bright spots of color onto the somber, slow-moving canvas of the theme in ‘Hymn.’ The orchestra part is colorful… strongly outlined, purposeful. The 20-minute, four-movement piece rarely raises its voice above an inviting, relaxed mezzo forte. Modernist techniques in the score blend with the often lovely guitar lines and soft-edged support from the orchestra… exquisite phrases… delicate and fragile touches… It’s a work well worth hearing again. “Cradle Songs” is a trio of lullabies set to verses by poets from Brazil, Poland and Tobago that allow a cappella singers to revel in subtle and radiant shifts in harmony, theme and rhythmic figure. …it seems to lie beautifully on the instrument. Cellists everywhere should take it up. “Dialoghi” exhibits many of the characteristic qualities of Stucky’s work: clarity, craftsmanship, and a strongly melodic sense that tends often to the lyrical. 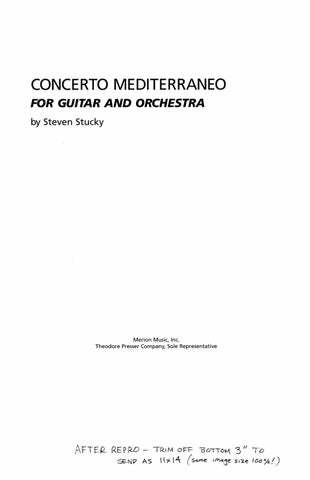 Stucky’s “Double Concerto” stands for the music of the 1980’s, writing annealed in the heat of all the influences of the century, emerging as an alloy of the old and new. 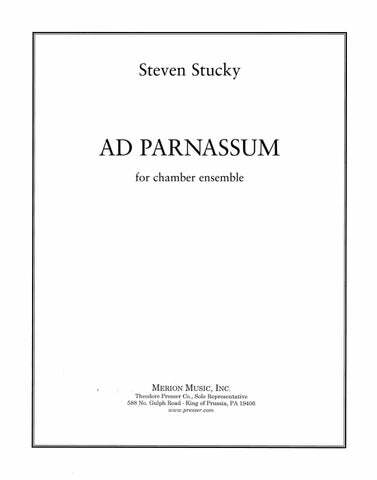 …Stucky’s piece has its own compositional logic (its three movements are separated by cadenzas for each soloist) that traces a satisfying arch. Its orchestra consists only of strings, percussion, and piano, yet the composer is able to extract a wide color range and full sonority from these deliberately restricted resources. “Dreamwaltzes” is both stylish and substantial, a neatly shaped 15-minute work whose dynamic energy is considerable and whose orchestration is consistently well-crafted. …a clever, affectionate collage that puts some old stylistic skeletons through provocative new paces. “Dreamwaltzes” left little doubt that past-tense creativity, when applied with craft and imagination, can be amusing as well as engaging. With fuzzy, reverberant and tonally ambiguous music punctuated fleeting snippets of waltzes by Johannes Brahms and Richard Strauss. …The waltzes build in fragments until a full, if brief statement arrives and immediately dissolves – the easy flow belying the difficulty that Mr. Stucky masters so brilliantly. 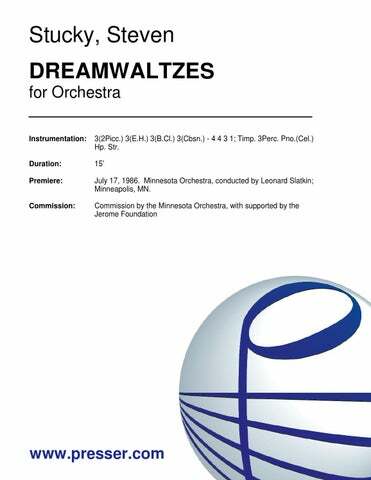 … “Dreamwaltzes” is not about recalling Strauss or Brahms in their time, but how Mr. Stucky, and perhaps the audience, interacts with this music today. …enormously appealing… The orchestra explored Stucky’s dreamy soundscape with wit, conviction and skill, and the piece’s climax-conflicting waltz strains crashing against one another like waves against the shore was a highlight of the evening. A phenomenal recording, wonderful music! …sharp, clear and effective, with instrumentation which sets off the solo [recorder] perfectly. …a highly viable work, live or recorded, which deserves widest currency. The brief “Etudes” – one for soprano recorder as chirpy as Vivaldi, another full of floating Berio-like sonorities, a third full of rushing scales and jazzy syncopations – are irresistible studies in good cheer. …”Music for The Funeral of Queen Mary” is compelling and immediately accessible… Haunting sounds begin right away as a flute– bassoon ensemble plays Purcell’s music while piano and timpani toll beneath them. Purcell’s Canzona, a strange work in its own right, is quite weird here. 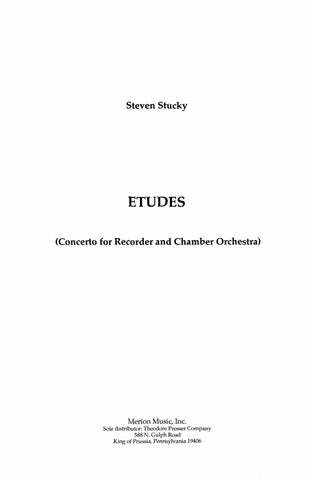 The piece builds inexorably to a smashing close… [Stucky’s] music is enthralling. Stucky… added violent percussion punctuation to the solemn Baroque lines. He has also blurred some of the essential harmonic formulas – gently yet deliriously. The result, a modernist’s vision of antiquity, beguiles even when it flirts with stylistic perversity. 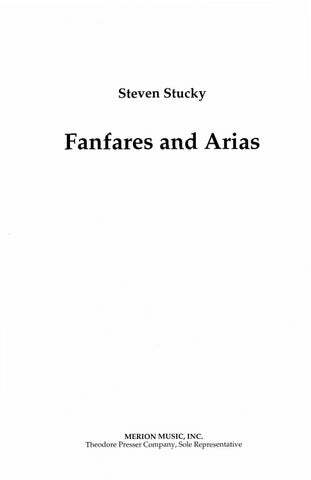 Purcell’s “Funeral Music for Queen Mary” arranged by Steven Stucky is dramatic, tense, highly stirring stuff, awesomely beautiful in its simplicity, almost heart-breaking in the intensity of the pleading in the anthems. …an 18-minute symphonic canvas of engrossing charms and intriguing rhetoric boasting haunting solo lines and transparent instrumental textures, captured the listener’s attention and held it rapt. 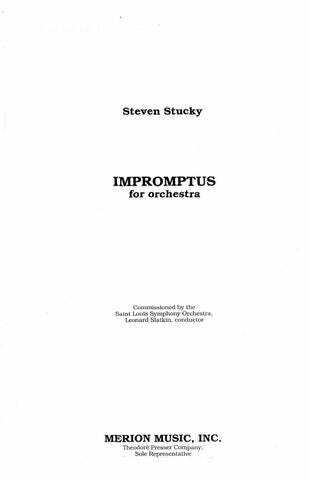 …Stucky’s “Impromptus” are meticulously crafted, solidly built, artfully shaped miniatures, but I would not want those words to give the wrong impression to classical music neophytes; mostly, they are fun to listen to. An eventful, bold, strongly expressed music that alongside all its modernism preserves a certain cantabile quality, and which in the mixture of string amid wind timbres affords fascinating and surprising colors… Stucky has composed an intense, highly concentrated work, never letting up for a moment… What lingers in the memory of this evening is the first performance of Music, for which the composer and the city of Lörrach can only be congratulated. The beginning of the composition seemed to threaten an experimental sound-world. Gradually, though, tones and sounds belonging stylistically to our ‘postmodern’ age began to sort themselves out. Rhetorical devices of the past and the present are available, hardly anything is off-limits – except, perhaps, extremes. Thus at the end of the work Stucky could confidently use his sense of audience-effective closing gestures. This concluding portion… produced what could be called a popular success. This portion was even repeated right away as an encore. …picturesque and dramatic … truly a virtuoso work with plenty for the players as well as the audience to pay attention to. “Nell’ombra, Nella Luce (In Shadow, In Light)” is a significant addition to the repertoire… As the title’s visual metaphor suggests, it is concerned with the contrast between darkness and light. The composer uses the full palette available, from basics such as high and low notes to less common techniques, including harmonics and sul ponticello… But unlike most color-study pieces of music, Stucky’s new quartet satisfies the listener with an inner coherence undoubtedly strengthened by his close study of the music of the late Polish composer Witold Lutoslawski. This was a piece with far more light than shadow in it and great arcs of tensely radiant harmony, beautifully imagined for the medium. “Nell’ombra, Nella Luce” is unevenly segmented, making it an exciting intellectual experience, and pins brilliant colors against darker, personal ones… Stucky’s work is raw art, not art motivated by narrative. What’s more, it is convincing. Hearing Stucky’s quartet, I don’t miss melody. I am drawn to the colors, to the buzzing, insect-like ponticellos (achieved by bowing very close to the instrument’s bridge). I wonder what this piece is about when I am done listening to it. It works. …exploits contrasts of bright, forceful gestures…with darker, more subdued music. …softly sighing dissonances, quiet low pedal points…sensuousness, variety, and intuitive sense of formal progression. The highlight [of the concert] turned out to be the most contemporary work — Steven Stucky’s “Nell’ombra, nella luce (In Shadow, in Light).” …the title only hints at the shimmering beauties, intriguing glints of light in different realms of darkness and the astonishing transformation of each as the piece raises darkness into the heights at the end. In the “Piano Quartet,” two kinds of light coexist. The piano rings like a bright midday bell. The strings convey a softer luminescence, say the fadin gsun of a Tuscan summer evening… The score proceeds with ease. Lovely sonorities and great sheaves of lyrical lushness invite the ear in. Stucky’s angular, percussive and, at times, strangely lyrical quartet brought, for me, the most arresting and galvanic performance from [the Los Angeles Piano Quartet]… Composed in one movement, the piece championed dissonance and flirted with rhythmic patterns, yet proceeded in a linear but never predictable trajectory. Stucky made sure each instrument leaped to the front of the soundstage. A middle passage, all churn and burble, served as an oasis before the music plunged recklessly into jazz slashes for the strings and a driving, engine wheel of sound from the piano. …This was music that perched itself on the edge of a cliff and by turns floated like a feather and crashed to the ground after a dramatic plunge. …the work of a master orchestrator, an immensely colorful and fascinating work worth repeated listening. …Stucky’s new work seems less to capture a painting’s narrative qualities, more to translate into purely musical terms the painting’s emotional impact on the viewer. His music is full of the mysteriousness that underlies great art: wonderful swirls of dark, nocturnal sounds, of bright lights seen from afar… Hearing the new work, which runs a substantial 18 minutes, inspires a proclamation that needs frequent reiteration: that a composer’s chosen language – whether bang-on-a-can or tea-with-Grandma – is less important than what is said. Pinturas has a lot to say. …brilliant orchestral exercise of great timbre refinement and subtle effects, written very well. … the content of the piece is highly original, with a real sense of development from start to finish. …Radical Light has something of the mood and texture of both Sibelius’ Fourth and Seventh symphonies. …conjured up glowing, teeming sounds. The music is shimmering and imaginative, punctuated with rhythmic figures as points of reference; here is a piece of music that makes one wish to know more about this composer. 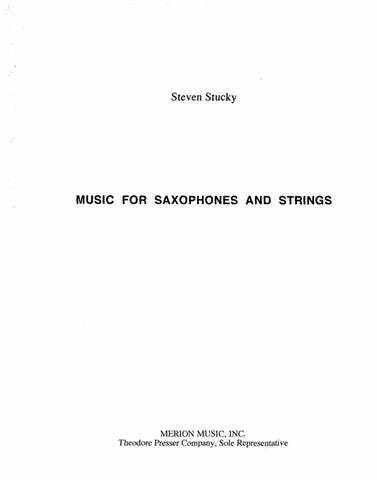 Steven Stucky’s music, with its broad, elegant bursts of sound, is very pleasurable to listen to. Radical Light unfolds in a single span that encompasses a wealth of moods and orchestral colors… What proved most striking here was the composer’s command of harmony, and particularly the way the piece moves deftly in and out of the world of traditional tonality. … a conscious response to Sibelius in its raw power and unified flow. When it rains, it can pour applause. … And that was what the audience gave “Rain Shadow” by composer Steven Stucky…[at] the world premier Aug. 22 at the Angel Fire Community Center. … With a soft opening and a finish as dynamic as its inspiration, “Rain Shadow” enveloped audience members’ ears in a four-layered composition. Each of the four movements was based on an individual piece of [Andy] Goldsworthy’s [art] work. …it was quite an occasion. The work lived up to its outsize ambitions… Mr. Scheer created a tapestry of overlapping streams of consciousness, and Mr. Stucky responded with a varied, colorful and mercurial score. … Mr. Stucky has assimilated it all in a distinctive voice that speaks as compellingly and vividly to our time as it might have to Johnson’s. …an urbane, immaculately crafted piece, lyrical in places and tonally well-organised, in which ideas introduced by one instrument gradually percolated through the ranks. …a well-ordered study in iridescent colours. Throughout this urgent, sometimes dizzying and continually surprising piece, there is an orchestral background of calmer sustained harmonies and undulant riffs. But the calmness is deceptive. Things are always stirring. … Public television broadcast the gala opening concert on “Live From Lincoln Center,” but [this] far more exciting program should have been the choice for broadcast. …mesmerizing … a curtain-raiser that plays ingeniously with aural depths of field. …explores the sonic capacities of the orchestra with bracing imagination and sizzling energy. …attractive features which make it pleasing to listen to. A colorful, delight-bringing score, it has the feel of music we know well lovingly replanted to charm new surroundings…a perfect fit for an orchestra, conductor and audience. It is music expertly designed to show off the Philharmonic, Music Director Esa-Pekka Salonen and the Disney acoustic at their dazzling best. 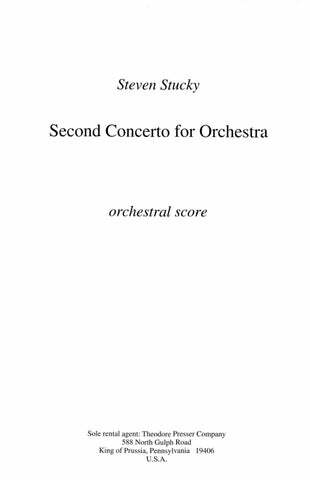 Unquestionably the most immediate knockout of the series was…Steven Stucky’s “Second Concerto for Orchestra” (2004), an electrifying display of orchestral fireworks that won the Pulitzer Prize this year. …all sections [are kept] busy creating textures that shimmer, sizzle and seduce. And that’s just its surface charm; Mr. Stucky uses all this, along with a rich lyricism, in the service of an imaginative structure with a set of wide-ranging variations at the center and no padding whatsoever. …a distinguished addition to [his list of works created for the Los Angeles Philharmonic]. …a fascinating amalgam: color, rhythm, propulsion … bright solo instrumental writing and breath-stopping dark sonorities. …he proves above all to be a refined magician of timbre, to the extent that the notes sometimes seemed merely a necessary vehicle for the application of color. 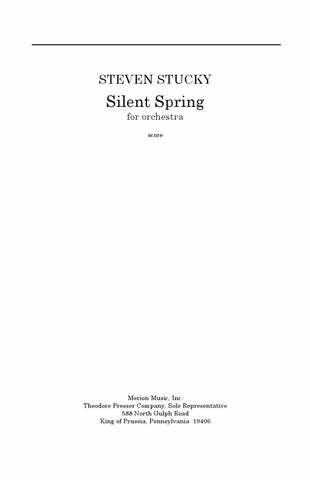 It is hard enough for a new work to impress an audience, but Steven Stucky’s “Silent Spring” set the tone for the entire concert. …it is a memorial to…environmentalist Rachel Carson’s seminal “Silent Spring.” …Mr. Stucky’s appropriate pessimism here didn’t discourage as much as it engendered a cathartic response to a subject that often numbs the soul. A brilliant, if unsettling, work. …I felt the message of Rachel Carson resonate through this piece. The world premier performance…launched this new work into the lexicon of great modern music. … You feel the emotional impact of a spring without bird songs in a most visceral way. Evoking Caron’s argument for conservation in a musical score is a tall order. But Mr. Stucky…typically draws on a vast timbral palette to create vivid textures. And with the title as a prompt, it is easy to hear what he had in mind in this explosive, shape-shifting 17-minute tone poem. 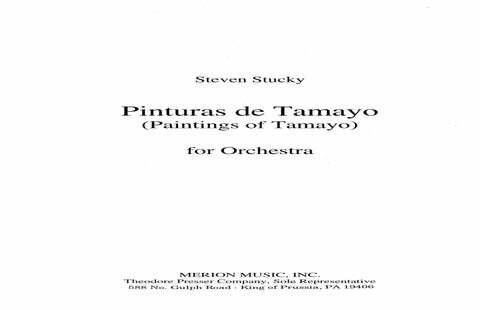 Stucky writes for the orchestra with great flair and confidence and the piece delivers exactly what the title promises: interesting sounds featuring an enjoyable interplay of light and shade. Crisply defined sections, like a brightly colored musical quilt … engaging and endlessly surprising, with a teasing dramatic logic that seems to promise further revelations on repeated listening. …the orchestra presented the magical colors, bright surfaces, and shimmery textures of the sound on the stage. The audiences were dazzled by the acoustic twinkling. …a great deal of energy, brilliant orchestration and thematic interest. Percussion and brass riffs ignite its fiery and episodic nine minutes. Woodwinds and piano rhythms dart here and there, and the snippets of ostinato keep you off balance and stimulate curiosity. Listeners responded enthusiastically to this entertaining maelstrom of a piece. …this music pulsates with rhythmic energy and revels in the coloristic possibilities of a large orchestra. Son et lumière is a fast-paced, gripping work with considerable substance beneath its coruscating surface. Bracing, complex, and entirely engaging… the directness of its expression and the continuous invention of its lines establish an unflagging rapport between composer and listener. Nine minutes long, thick with instrumental activity in all the ensemble’s sections and fraught with tics and twitches, the piece is both tortured and jolly. It amuses and provokes, and the receptive [audience] cheered the composer. …a vibrant kaleidoscope of orchestral colors, delicate but not precious. 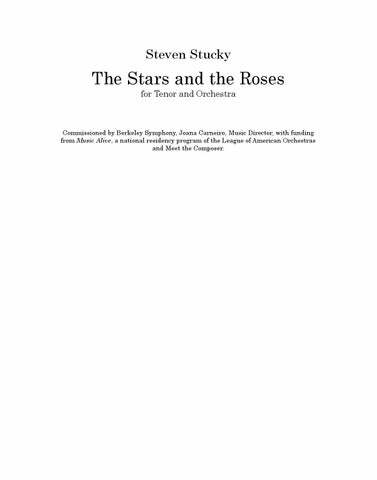 It pays homage to twentieth-century giants of various schools; but Stucky, not yet 40, is clearly his own man, and a figure to watch among contemporary composers. “Son et Lumière” is named after ‘a kind of show staged for tourists at historical sites or famous buildings,’ to quote the composer, who in this brilliant and colorful overture of a piece achieves much of the same kind of dazzlement. Scored for large orchestra, the music is full of repetitive figures that flicker like flames or like reflections on water, of sonorous chords and unisons that radiate strong single beams of color, and of urgent rhythms and driving melodies that propel the work through two large phases of growth and change towards its extraordinary close, where the strings climb and climb. 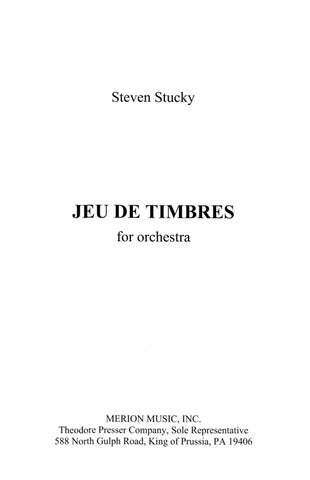 Stucky has devised an engaging framework of animated ostinati and related constructions wherein he skillfully exploits the orchestra’s timbral resources to satisfyingly dramatic effect. Much of the drama is derived from the sheer elegance of the orchestration… a multitude of voices in divided strings that melt down into a single tone or a solo bass clarinet arising sinuously from a tenebrous drone. Stucky… not surprisingly renders such moments of coloristic gratification with polished expertise. “Son et Lumière” is short and intriguing. It begins with an almost transparent veneer of string sound that is punctuated by jazzy percussion and brass riffs. The piece uses ostinato figures somewhat in the minimalist manner but is endowed with a richer sense of melody and playfulness. 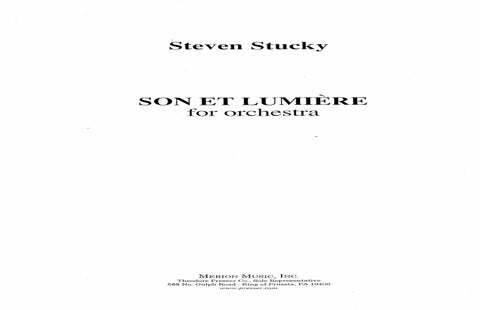 Son et Lumière lasts less than nine minutes, but its unflagging invention made one want to hear more of Stucky’s music. 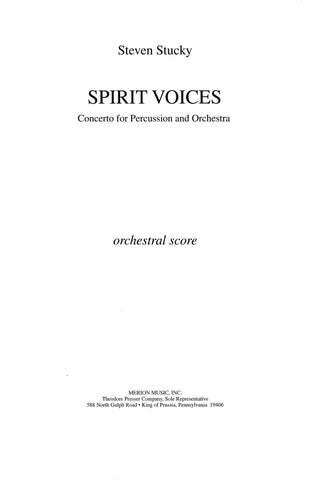 “Spirit Voices” takes advantage of [Evelyn Glennie’s] musical skills and undeniable stage presence… it does so with beautifully focused musical means… This is highly charged, dramatic music that ebbs and flows in pace and dynamics. The work…is not traditionally structured. It’s as if you have to be able to maintain at any one moment a consciousness of what has been and an awareness of what’s to come for this piece to work, as it certainly did for me…the orchestral score is as glittering, delicate, and substantial as the soloist’s. 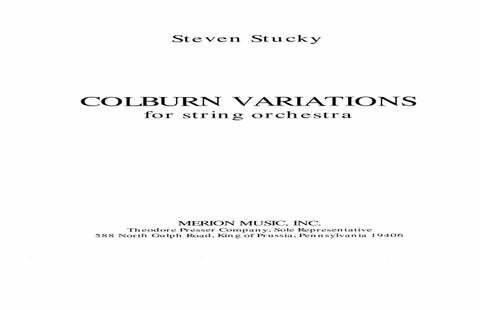 …colorfully orchestrated… Mr. Stucky has long written in an intricate, pungent yet transparent and, in the best sense, accessible musical language, as in this symphony. …the sensation of illumination, to suggest light through exquisitely applied color. … No note felt wasted. To hear Stucky’s Symphony once was to want to hear it again. …cogent and eloquent… He is a musical essayist who connects the dots, laying his thoughts before the listener in clear sentences, paragraphs and periods. 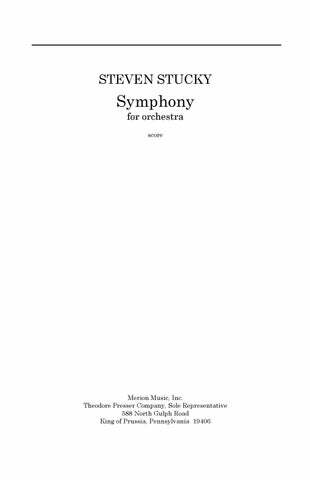 … The “Symphony”…glows and blazes through its four movements seamlessly, its colors dovetailing (it is splendidly orchestrated), its thoughts sophisticated and coherent. Its brass chorale may be one of the most beautiful things in recent music. 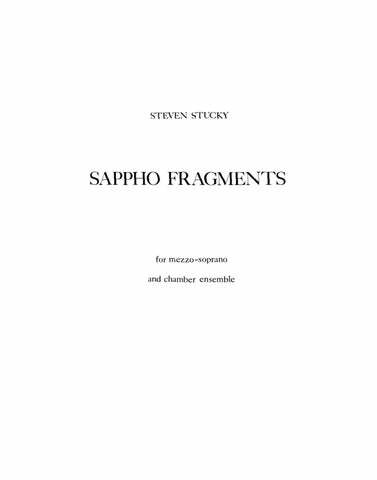 …madcap, hilarious and touching … it’s a delight to hear this remarkable collage of stylistic allusions, references, outright quotes, and the means of getting from one ‘memory’ to another … Stucky’s command of instrumental and vocal color is equally striking. … “The Classical Style” holds its own as sheer entertainment. Mr Stucky’s music is subtle, sly and vividly colorful. It’s a giddy, over-the-top comedy that lovingly satirizes Rosen, his book, and pretty much every ludicrous aspect of classical music as it now exists. …a real hoot … a most entertaining and informative postmodern self-referential opera. [Stucky] subtly interweaves quotes of Haydn, Mozart and Beethoven with made-up classical riffs and elements of Stucky’s own music, adeptly moving us not only back and forth through history but also through reality and fantasy. There are musical jokes aplenty, some intended for a general audience, wonkier ones setting traps for [conductor Robert] Spano. …a narrative of eclectic and sonorous vibrancy. The beginning of the poem “Consignee” burst with the power of a soliloquy from a Britten opera. The music [in “Songlet”] is rightly somber, but there are brief passages that act as counterpoint to the brooding. The vocal writing was equally sensitive. TRANSPARENT THINGS: IN MEMORIAM V.N. …uniquely successful in its blending of strictly composed and aleatory elements in a thoroughly convincing way. 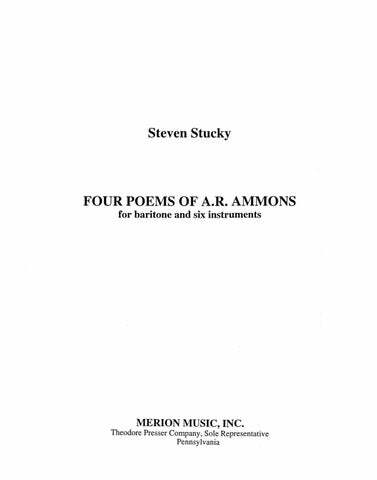 If there are harmonically incompatible sound combinations in “Transparent Things,” they are not of the dodecaphonic and grating variety but, rather, are couched in the most delicate fusions of timbres that invoke in the listener feelings of beauty and well-being… The most striking aspect of Stucky’s piece is its imperceptible melting of sounds from one set of timbres to another, often leaving the ear wondering about what is being heard and always marveling at the sheer delicacy and grace of it. Enthusiastic audience response greeted the composer as he was called to the stage. …a fragile, timeless beauty. The most beautiful piece programmed. Performer(s): University of Minnesota Symphonic Wind Ensemble, Craig Kirchhoff, conductor. for Baritone and Six Instruments.